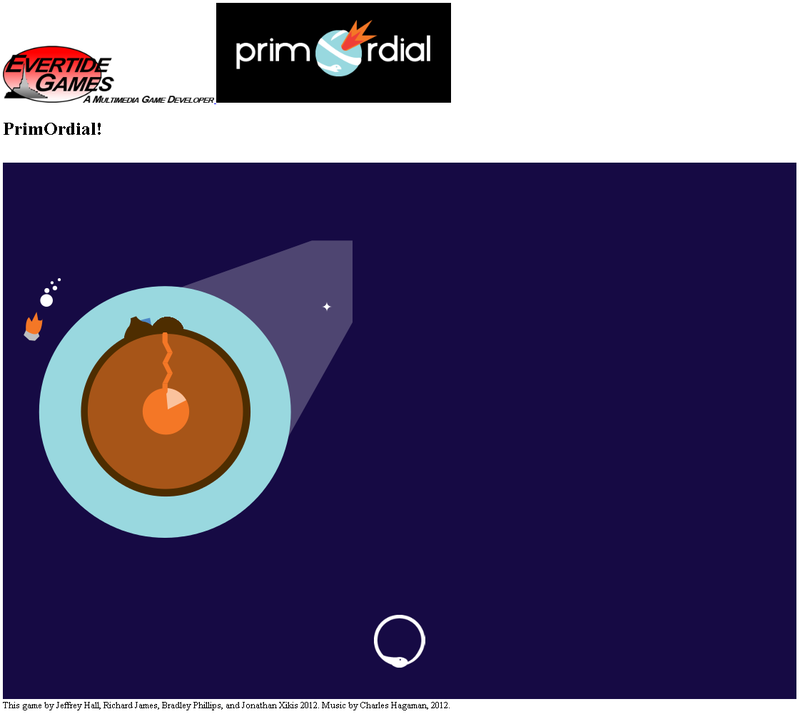 A touch-centric mobile game (also for browsers) in which the object is to create primordial life by messing around with a protoplanet. Ahh, the endless cycle of life! The player has to carefully manage magma convection beneath the crust to create volcanoes and make sure that comets hit where they can create water. Then, they can jump-start life by hitting it with lightning from clouds. Later objectives may include caring for life once it starts evolving. Heyo. Is there a link to this game? If so, please email me at Rahil627 gmail [dot] com!